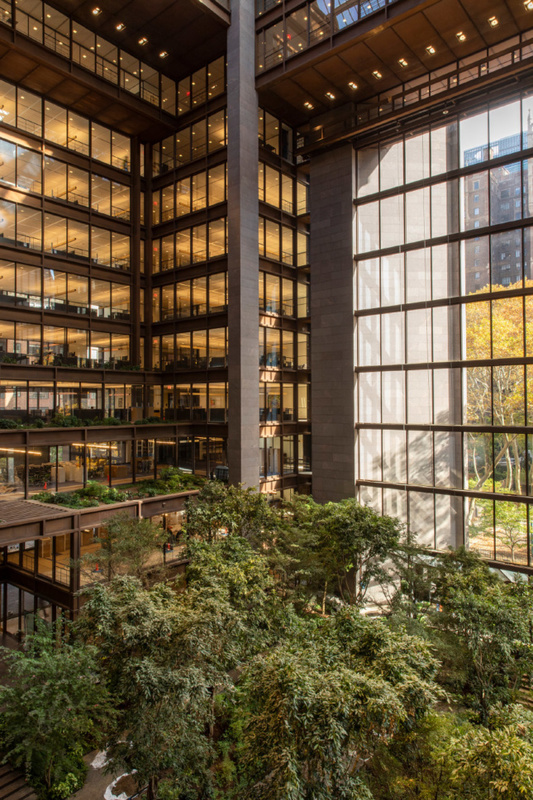 Ever since it was finished in 1967, the most notable feature of Kevin Roche and John Dinkeloo’s Ford Foundation Building has been what is not there. 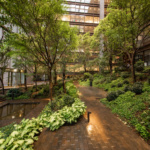 At the center of the building is a 12-story, 160-foot-high void occupied by a multitiered interior garden, dense with trees, flowering bushes, and lacy ferns. 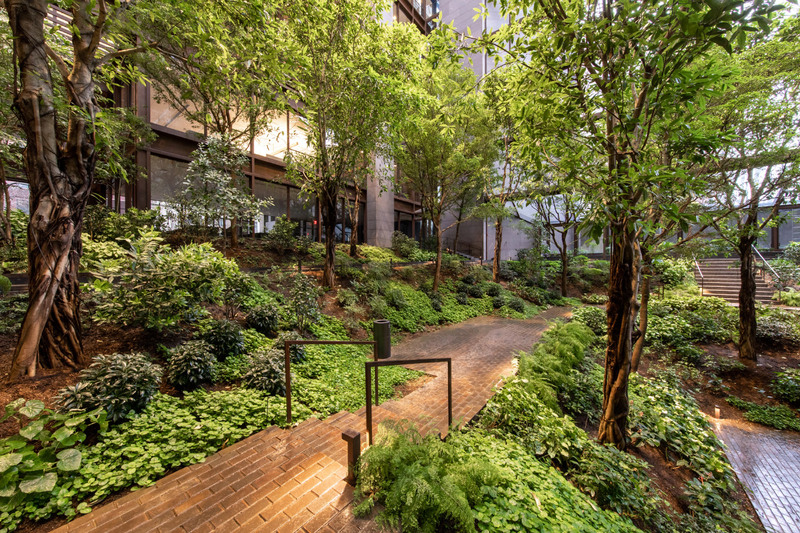 The original design of the garden—by the late master landscape architect Dan Kiley—frankly never flourished, but it is now in full bloom. 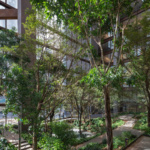 According to Guy Champin, Jungles’s project manager for the new garden, “The architecture of the building is all about its two transparent facades,” referring to the walls of windows on both the 42nd and 43rd Street sides. 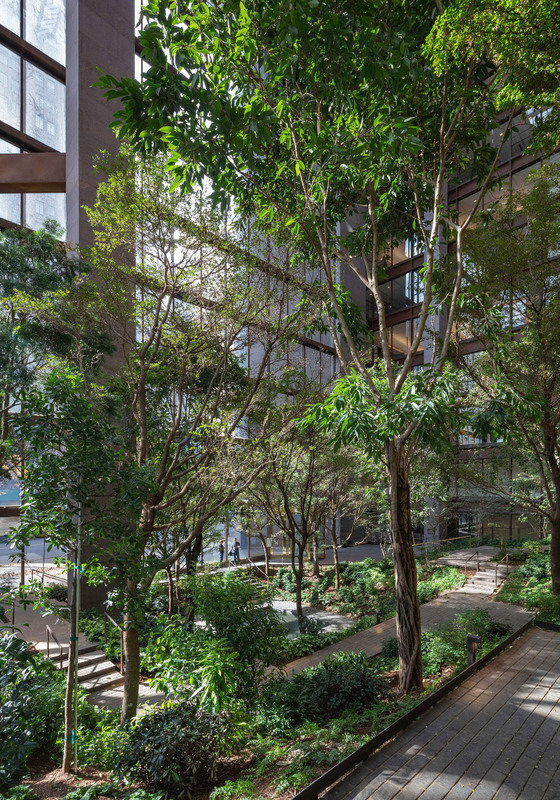 To preserve and indeed enhance that visual effect, Champin and Jungles have established a tree canopy using some 35 Shady Lady black olives, Jacarandas, Ficus Amstel King, and other varieties that allow visitors to see through the space, while remaining aware of a beckoning urban forest unlike any other vista in Manhattan. 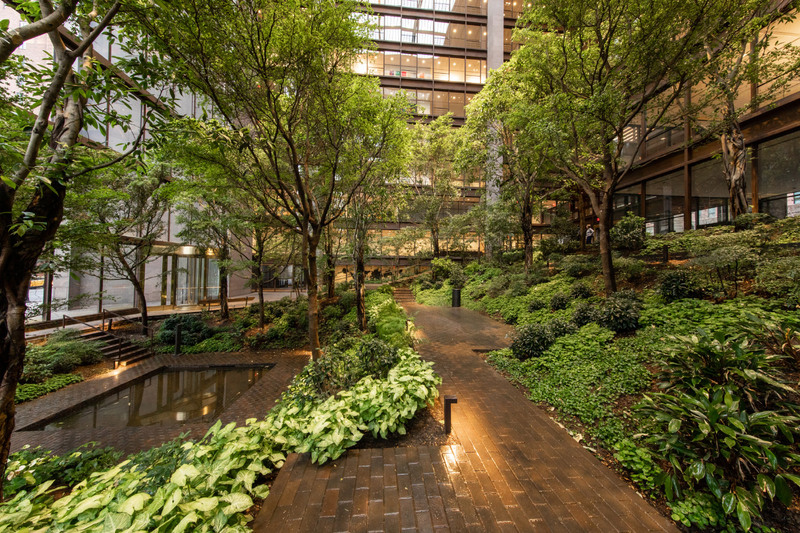 Rectilinear brick pathways course across the space, half of which are wheelchair-accessible. 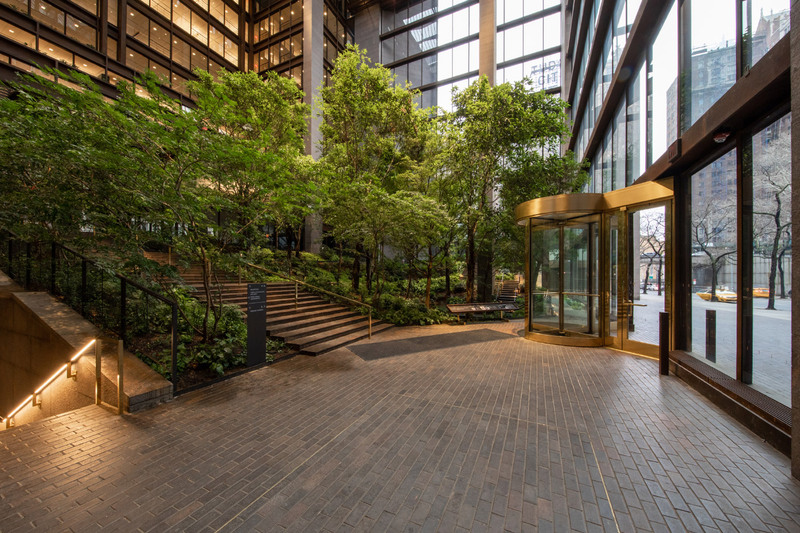 While the hardscape remains largely untouched, given the landmark status of the building, Jungles’s firm has made conspicuous visual and aural changes. 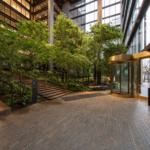 In keeping with the Ford Foundation’s new branding as a decidedly all-embracing forum for “social justice,” the firm was commissioned to establish a touch and smell garden where hearing and visually impaired visitors can experience the plantings. 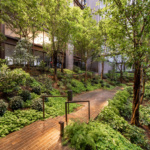 Landscape Contractor: Alpine Construction & Landscaping Corp.